We are an Emergency/Non-Emergency provider, serving the greater Los Angeles area. immediate care to the critically ill and injured, and to transport the patient to a medical facility or provide medical transportation to a designated facility (IFT) or home. After receiving the call from the dispatcher, the EMT-B drives the ambulance to address or location given, using the most expeditious route, depending on traffic and weather conditions. The EMT-B must observe traffic ordinances and regulations concerning emergency vehicle operation. Responds to emergency and non-emergency calls as an ambulance attendant; performs necessary rescue work; administers necessary emergency medical care requiring the use of resuscitators, splints, , suction devices, and backboards. Drive ambulance in emergency and non-emergency settings. Assist local EMS agencies either as a first responder or EMS transport. Document patient records and encounters, incident reports, and other related forms. Insures compliance with County and departmental policies and procedures. May be called upon to provide supplemental aid in the event of a disaster or MCI. Help to resuscitate patients in an emergency before hospital admission. Evaluate a patient’s condition in order to determine the right course of treatment. Monitor patient’s condition and keep it stable while en route to the hospital or other destinations. Transfer of patients to the emergency department, trauma or other specialty centers. 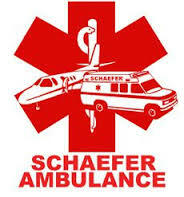 Provide interfacility transportation and ongoing medical care. May provide medical stand-by services at special events. Obtain and document pertinent billing information. Help to calm down the family members of the victim and the public on the scene. Document patient care reports and take notes of the medical treatment given to the patient. Decontaminate the interior of the ambulance if it is used to transport a patient suffering from a contagious disease. May work with other transport personnel such as RN or Respiratory Therapist. Use and route responses from a map book. Regularly maintain and complete assigned station duties.. Provide daily preventive maintenance, checkout, and cleaning of assigned ambulance.